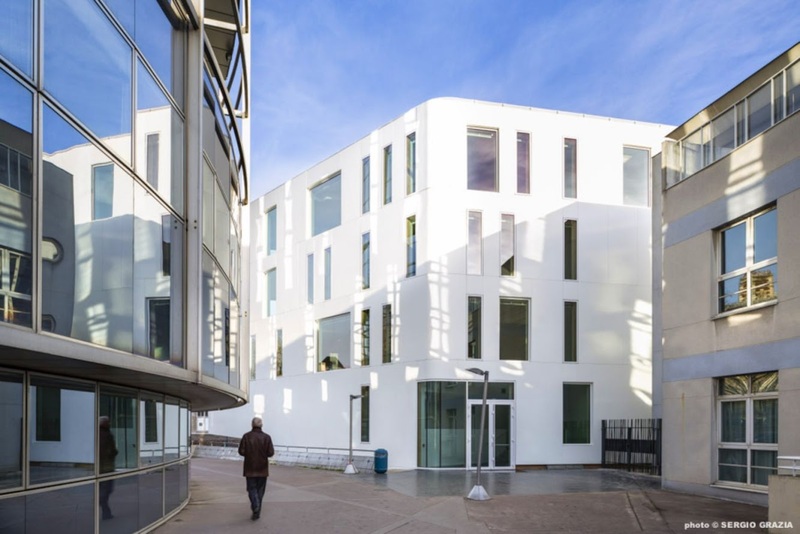 A Major First in France : Positive-energy Own-consumption in Offices. 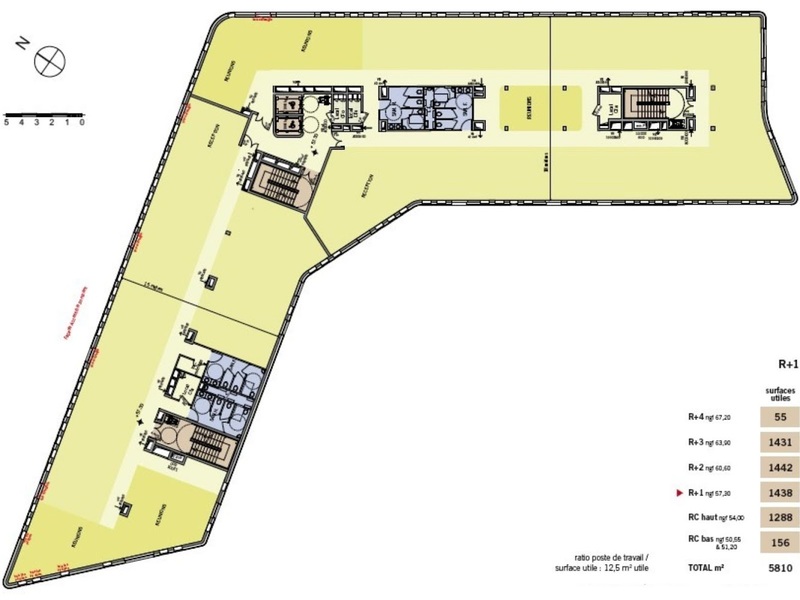 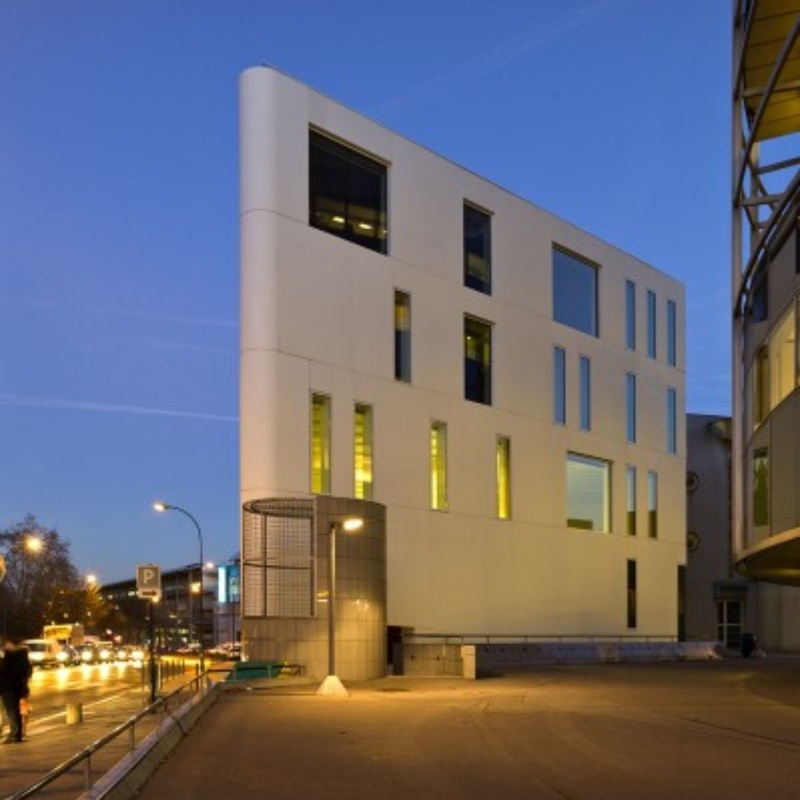 Will house the Cite Regionale de l Environnement d Ile-de-France from 2014 for a lease period of nine years. 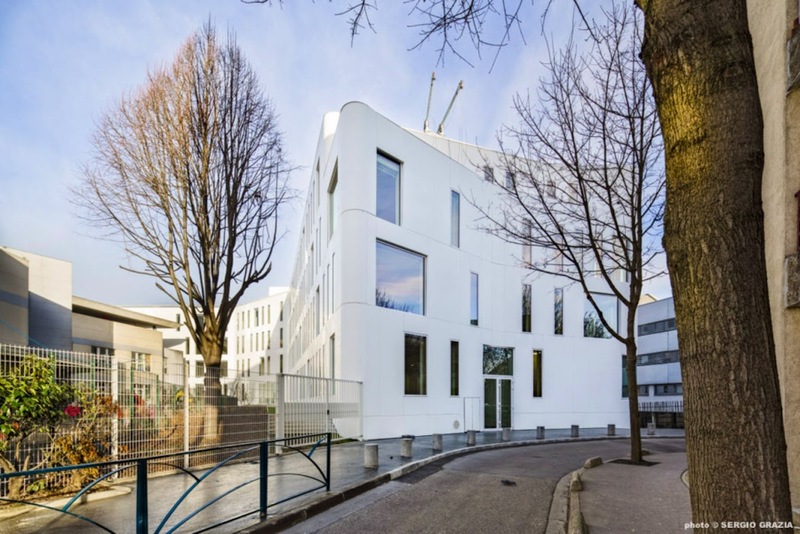 “An important first in France, the office-building project delivered in January of 2014 in Pantin (Greater Paris) by the Fassio-Viaud agency for Prd Office, runs on positive-energy own-consumption. 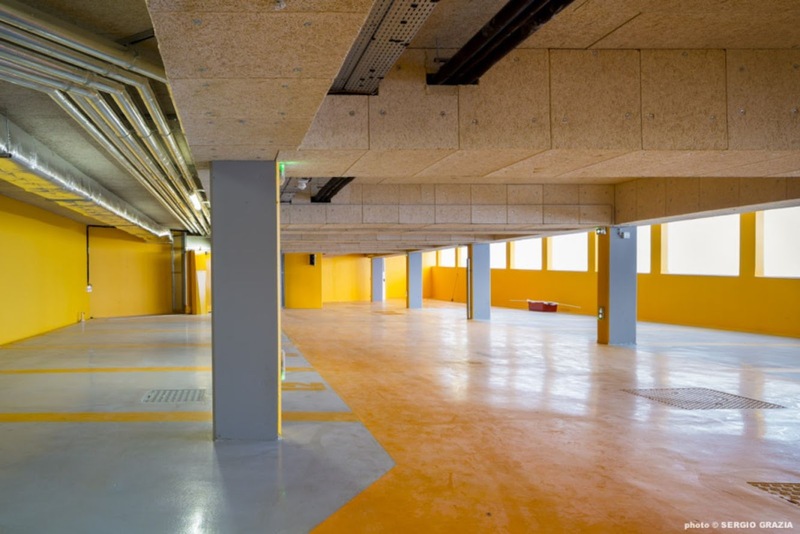 Part of the energy it produces is used directly on site for heating, lighting, ventilation and hot water but also for recharging the electric cars that are made available to employees. 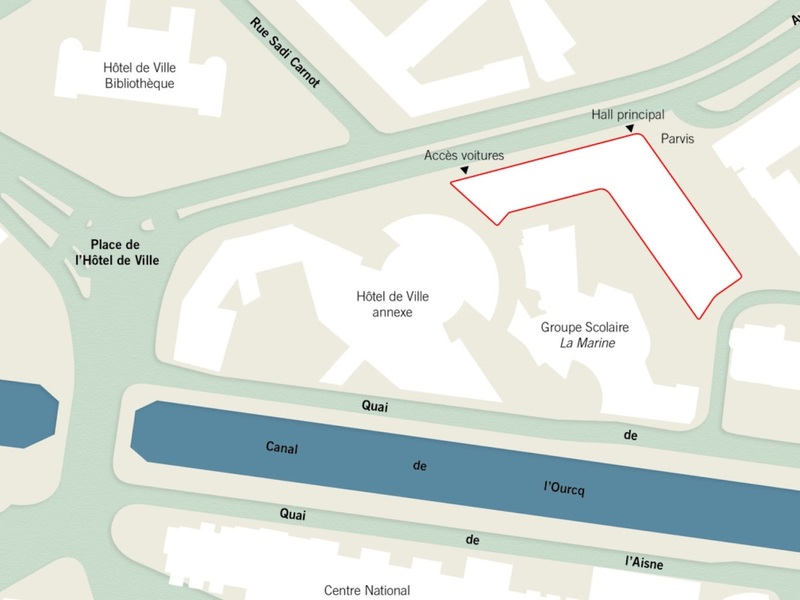 the remainder is transferred to the Edf grid. 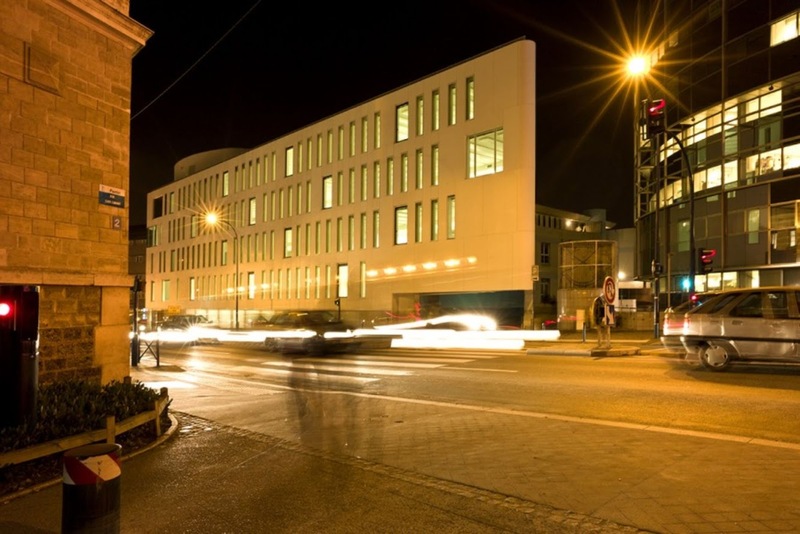 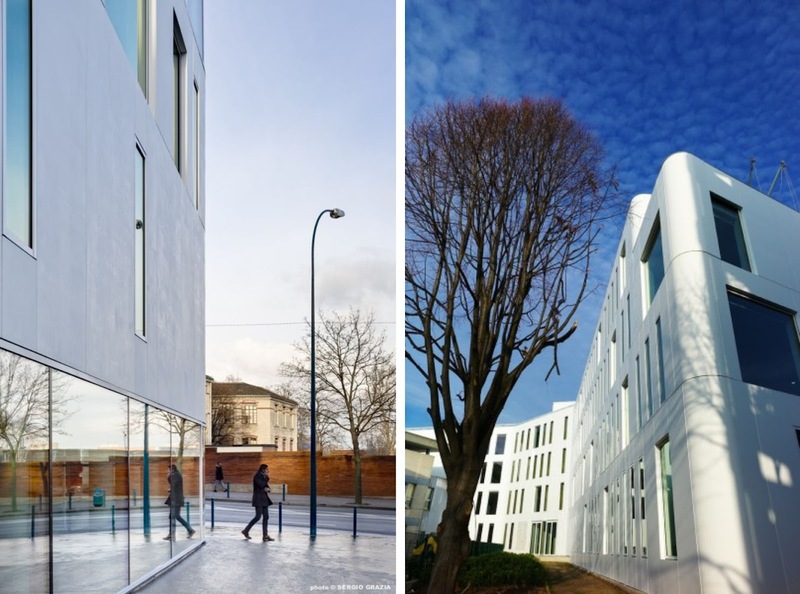 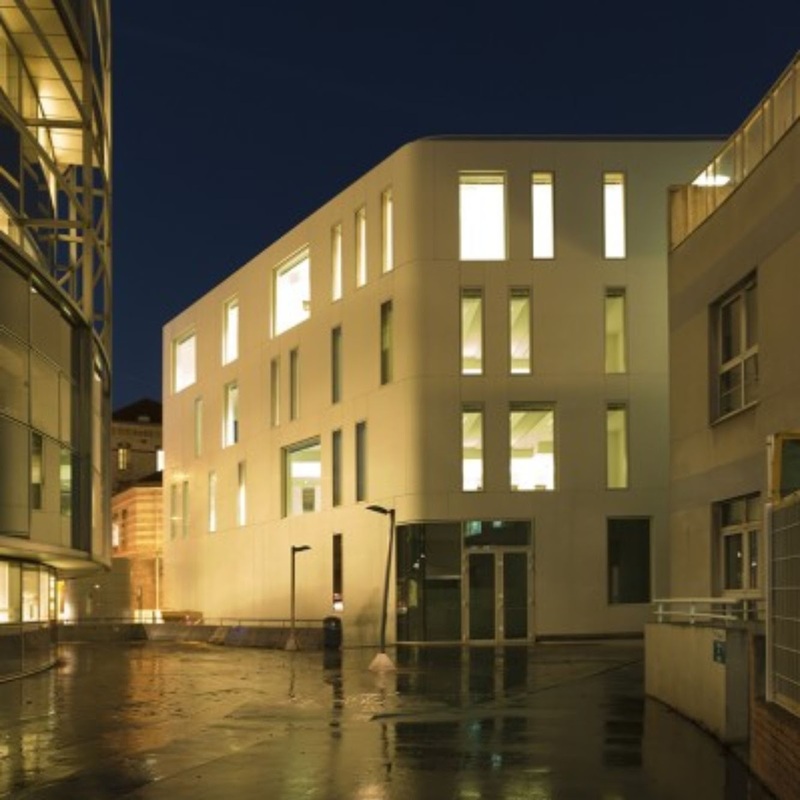 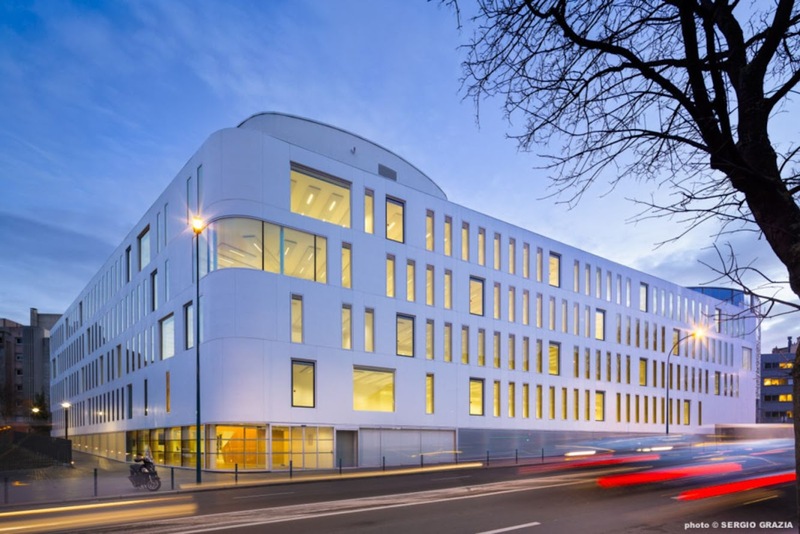 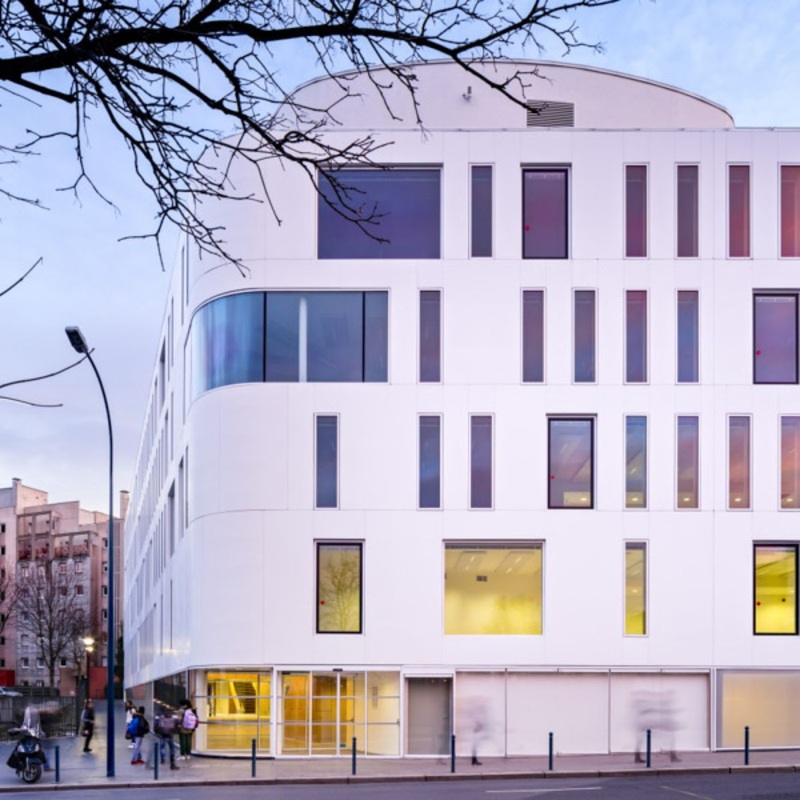 The building is only the second in France to use Corian® in its construction, a material known for being long-lasting. 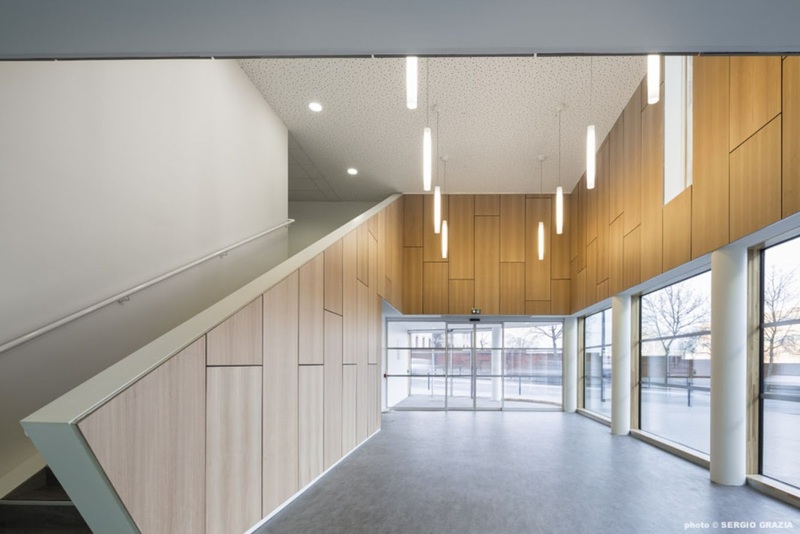 It is self-cleaning and can be sanded to remove graffiti easily. 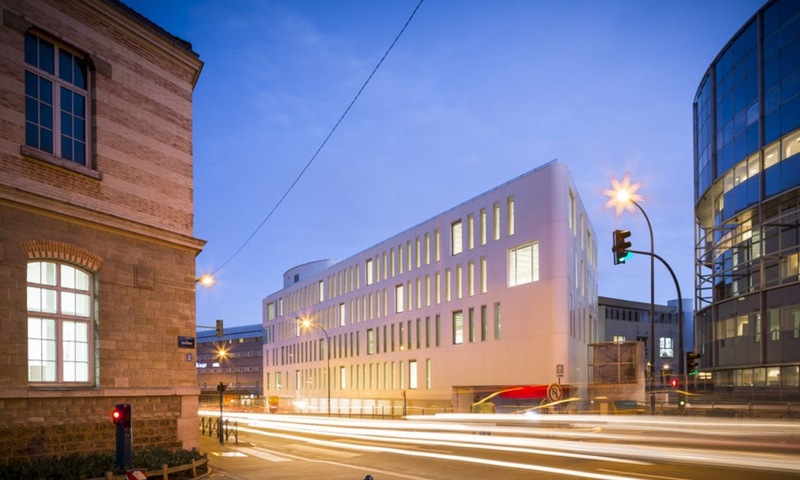 It gives the building a fluid outline as if it had been carved from a block. 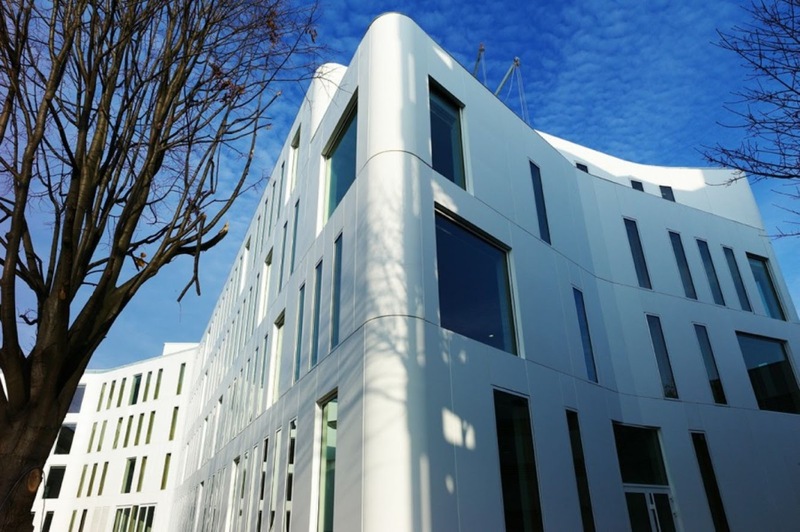 The building’s energy needs have been reduced to a minimum because of a high-performance compact envelope. 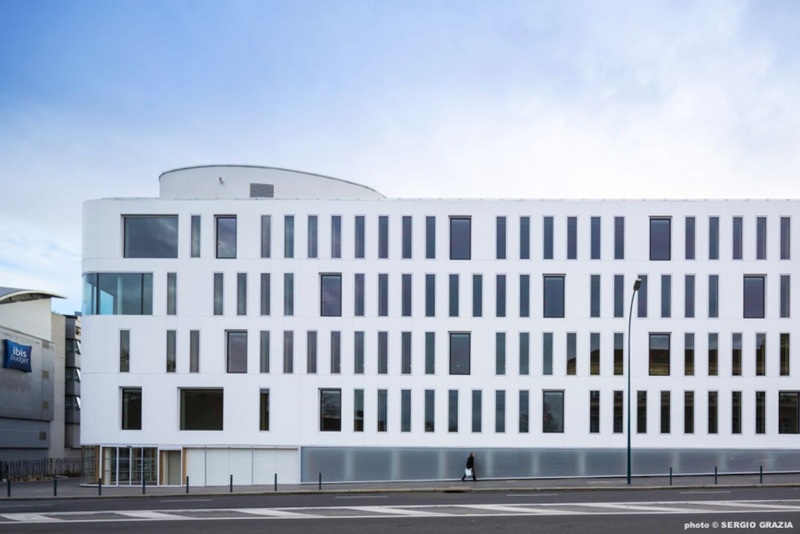 the façades are load-bearing, so thick, and transpierced by bay windows placed in a 1.35 m pattern to ensure maximum natural sunlight and occupy only 40% of the linear façade. 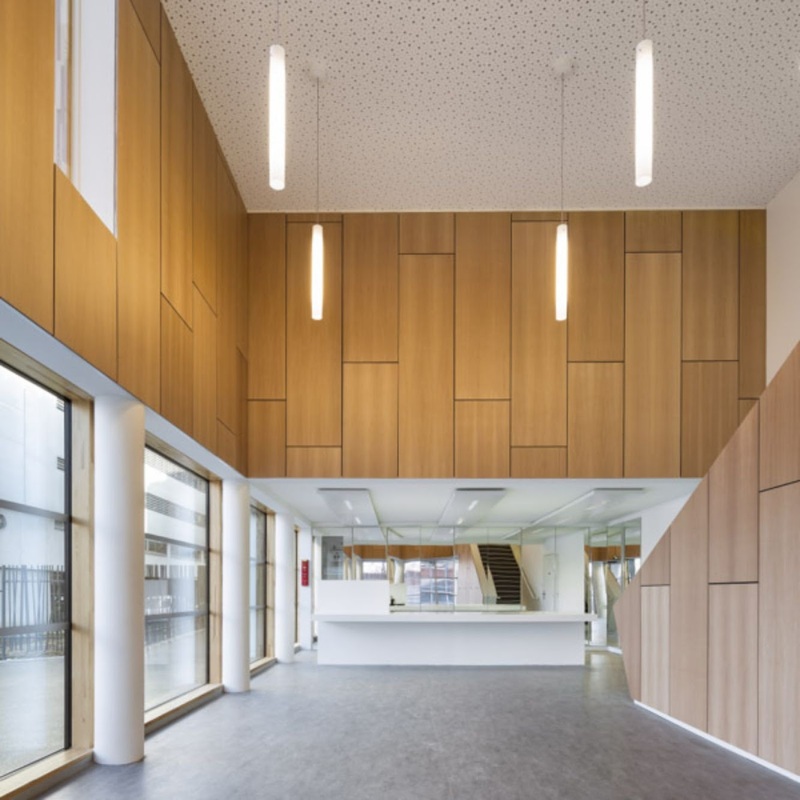 The office interior has been carefully designed to maximise user comfort with 2.90 metre ceilings (compared to the usual 2.5 m) and systematic natural lighting in each office. 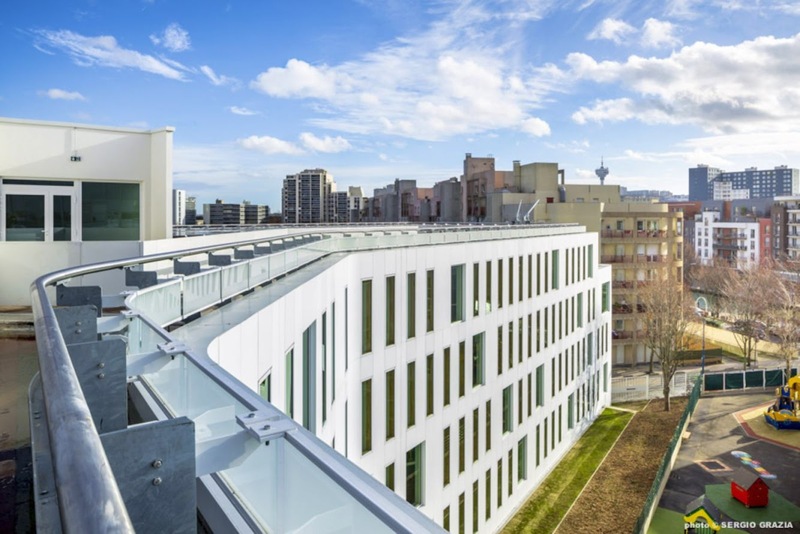 by playing with the slope of the land, the parking garage is on the ground level, a choice making it possible to make considerable savings both during construction and in the building’s daily use since artificial light is unnecessary. 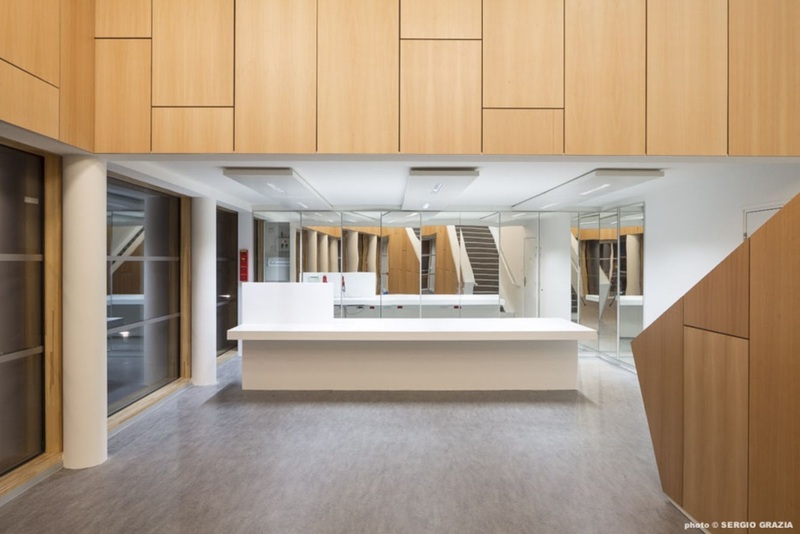 It also made it possible to place the work stations in the upper floors and spare them manifestly uncomfortable positioning. 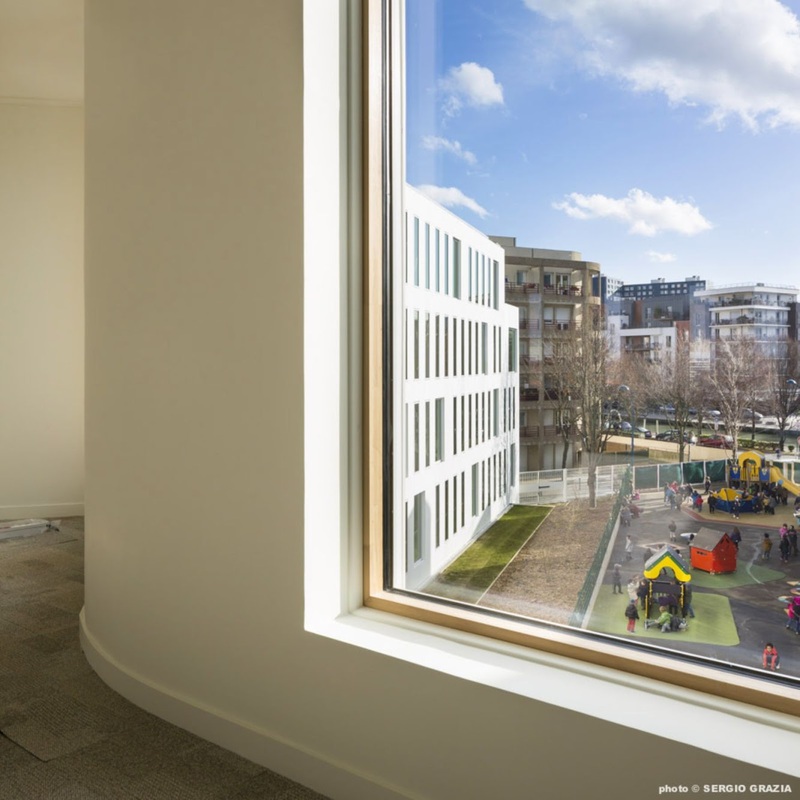 the project even surpasses its brief by resolving several sticky urban issues by increasing the surface area of the playground of a nearby primary school while placing an embankment of greenery between the two buildings. 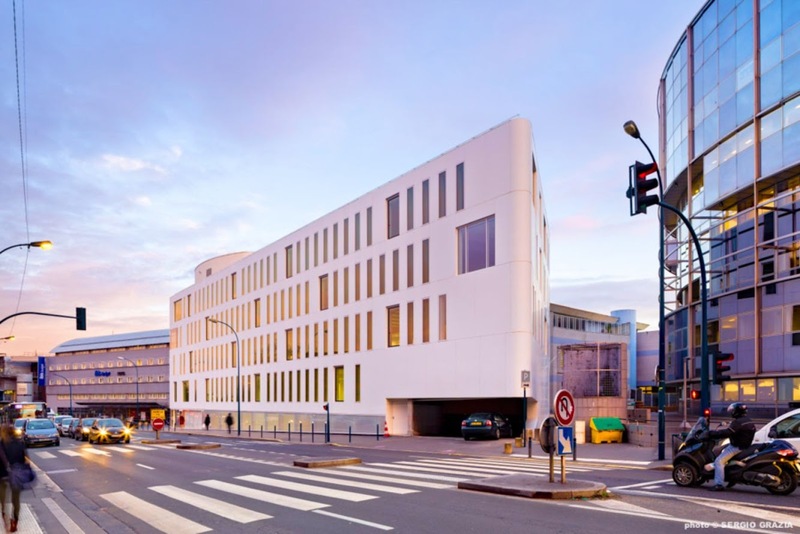 The building also helped rationalise and improve access to an existing parking garage by freeing a spacious entry, making it a prow visible from the road leading to Paris.” Fassio-Viaud Architectes. 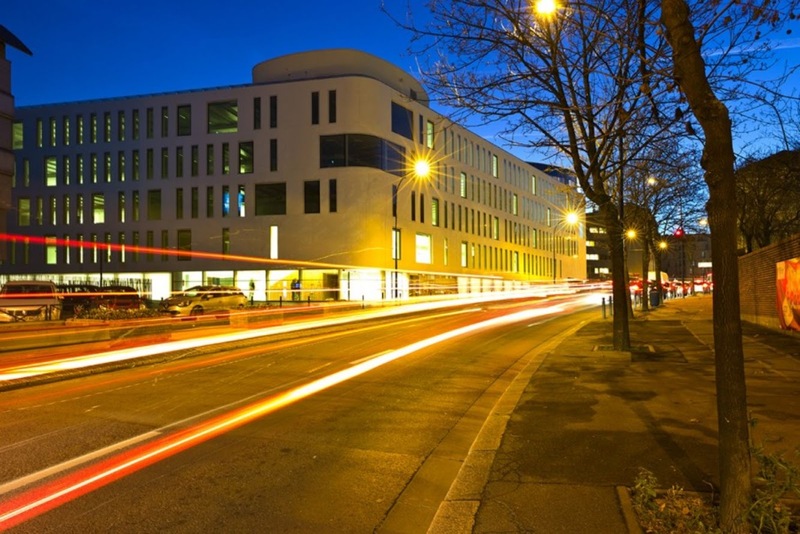 With 5,785 square metres and 37 parking bays, this building showcases its impressive environmental ambitions that conform to the developer's preferences. 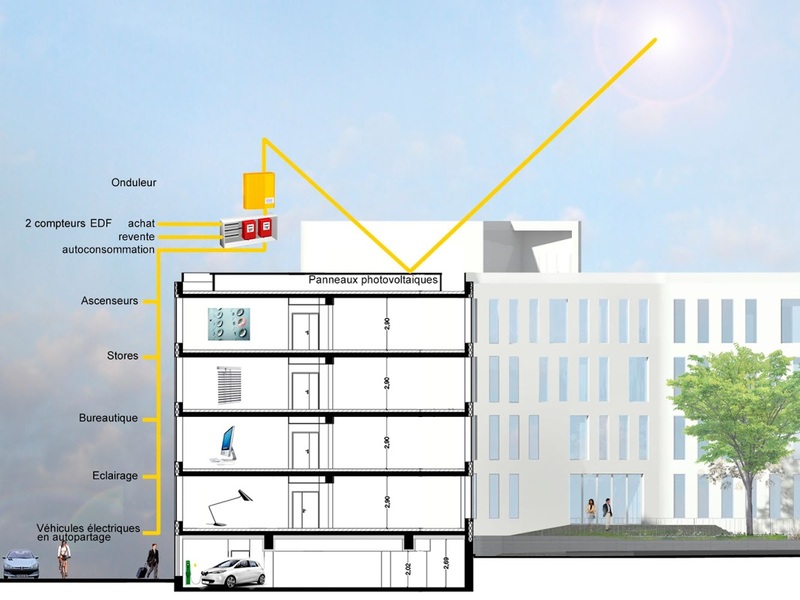 It will also meet future Bepos standards for energy-plus buildings, complementing the Hqe (high environmental quality) and Breeam labels it has already obtained.